Our last post for 2013!!! And it’s a special one just for you all!!! Ever since watching Disney’s latest movie Frozen, my girls Emelyn (6) and Maliya (4.5) have been obsessed with all things related to the movie. Outfits, dolls and especially the music! Here is a little medley they put together of their 2 favorite songs from the movie. 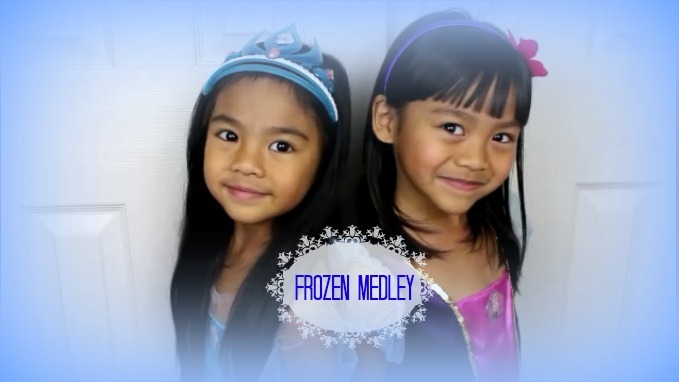 A cover of “Do you want to build a snowman” and a cover of “let it go.” We hope you enjoy watching this video as much as the girls enjoyed practicing and filming it for you!!! Happy New Year 2014!!! Thumbs up for more covers from my girls! Watch Emelyn & Maliya’s makeup tutorial!